It can be extremely overwhelming looking through different skin care products, ones that are for night time, ones that are for day time, ones that can only be used twice a week, ones that are intended for sensitive skin, ones for combination skin. How does one know what product is right for them? What ingredients should we look for? What ingredients should we avoid? My skin was never as good as it is right now. I wasn’t taking care of it as I should and I wasn’t using the right products. It wasn’t until I went to school for Medical Aesthetics that I truly understood and appreciated skin care. I always thought that I had sensitive skin. The redness, the break outs and the overall sensitivity of my skin. I never thought that I would be anything else. Enter, skin care part one. Turns out that the best way to determine your skin type (oily, dry, sensitive, combination) is after you cleanse your face, how do your cheeks feel? It’s normal for our T-zone to be oily (hence the normal part of the combination) but our cheeks are a different story. If you feel tight and rough you have dry skin; if you look and feel shiny then you have oily skin. What if I have sensitive skin? Let me answer that question by explaining what sensitive skin really is. There is a difference between sensitive and reactive skin. Reactive skin is when skin is extremely delicate to products and treatments. The skin reacts in an undesirable way, whether by breaking out, turning red and possibly getting an allergic reaction. I used to be this way, my skin was very reactive. It still is to a certain degree, but not as much as it used to be. What I did to counteract the reactiveness to my skin was using the right products at home and getting the proper treatments for skin. Sensitive skin is skin that is prone to redness, broken capillaries, and mild breakouts. Now if I can battle my bad skin back to good health you can too. What is most important to understand that great skin is two fold – One, proper skin treatments. Skin treatments that target the biggest issues and then maintain the results. Two, proper home care. Home care is so important, treatments will help solve issues but proper home care will maintain and prolong the results of the treatments and trust me, speaking from experience, it will improve your skin so much. Skin care should be an essential part of life. I know that proper products and treatments can be costly and it is an investment. Remember – you wear your face everyday. Take care of it! I suggest starting with the essentials in home care and building on to it when you’ve established a routine. It’s the best way in my opinion to train yourself to take better care of your skin. 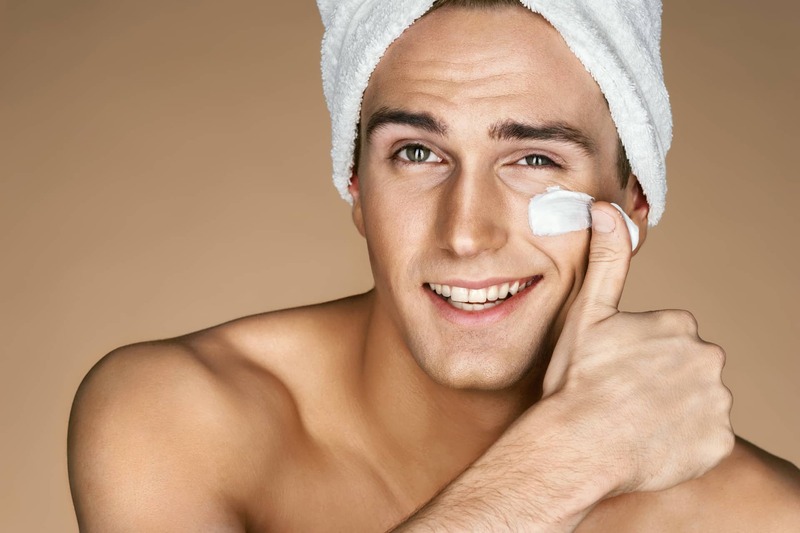 Cleanser – it is critical to have the proper cleanser for your skin. We need to cleanse twice a day. Using soap, or a cleanser not for your skin type will cause more damage than good to your skin. Our skin has a natural barrier to protect it from free radicals (the environment etc) if we strip that barrier with chemical infused, improper cleansers we are killing the one thing that is intended to help us have great skin. Moisturizer – it’s always important to keep our skin hydrated and fresh. A proper moisturizer will do just that. It’s extremely important to use moisturizer that is suited for your skin or else your skin will react negatively. In my experience, when I used the wrong the moisturizer on my skin, I broke out from access oil on my skin. It wasn’t pleasant. Always use the moisturizer best for your skin type. Sunscreen – Short-term sun damage shows as a sunburn. Long-term, unprotected exposure causes gradual damage to skin known as sun damage and accounts for about 90% of the signs of skin aging. I cannot stress this enough, we all have to wear sunscreen all the time year-round. The sun although we love, causes damage to the skin. It’s not that we have to stay inside at all times but we all need to protect ourselves all year. Proper sunscreen is an essential in skin care, a physical sunscreen is the best to have in your skin care roster; it protects against UVA and UVB rays. Eye Cream – The skin around the eyes is more delicate, more likely to become dry, and quicker to show age and fatigue. The skin around the eye is very different from most of the skin of the rest of the face. It’s thinner, more sensitive and has fewer oil and water glands, so it needs more moisturization. Squinting and constant movement of the eyes also quicken the appearance of lines and wrinkles, and fluids collect under the eyes and cause puffiness and dark circles. Eye creams can address some of these issues. Serums – Serums are all killer and no filler, containing the highest concentration of active ingredients that you can get without a prescription. One serum that should be included in every routine is Retinol. Vitamin A isn’t just consumed orally in vitamin pills. Retinol, a form of vitamin A, is one of many ingredients found in various topical skin care products. It’s widely used because it has many applications and uses for the general improvement of your skin’s health. Retinol can help rejuvenate skin and smooth the appearance of fine lines and wrinkles. Your pore size is set by your genetics, but retinol can help improve your pore’s shape and size. Helpful Tip – Retinol is only to be used at night time. Once a proper skin care routine is established, adding speciality items like serums can be included and the overall look of your skin will change dramatically. I have seen first hand what proper skin treatments and home care can do for my skin and the skin of our clients. It really does make a difference. We only have one face, we might as well take care of it to the fullest!